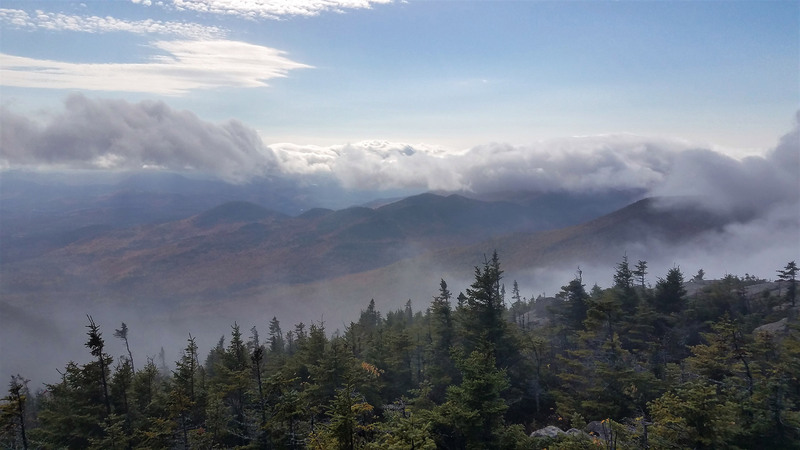 While the mountains of the Northeast may not contain the vast alpine climates of the American West or other regions, many peaks of the Adirondacks, Greens, Whites, and Maine do require extensive travel above treeline to reach summit. 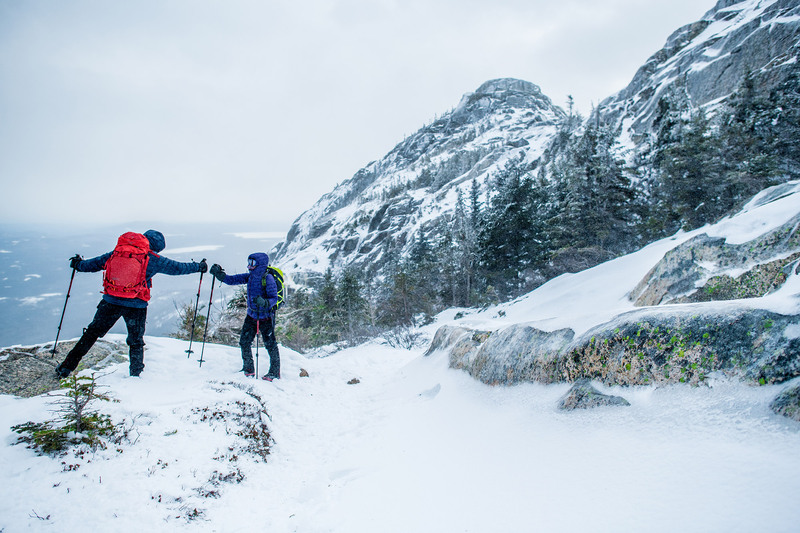 Hiking above treeline, especially in winter, can be some of the most spectacular and rewarding hiking around, but it doesn’t come without challenged or danger. 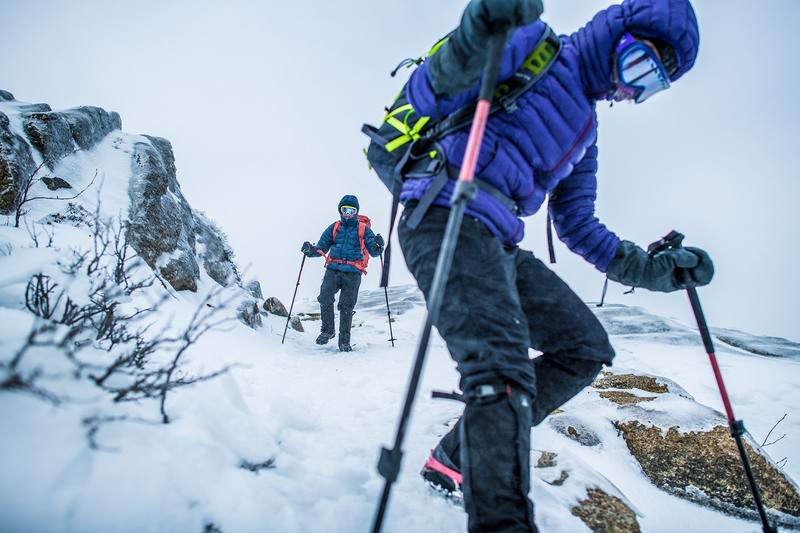 The unpredictable and harsh weather, inhospitable terrain, and difficulty of getting help all the way up there makes preparation necessary any time you venture into the Alpine, and these tips will start you in the right direction. 1. Do the proper planning. While sound preparation is a must for any safe hiking experience, it becomes even more important when visiting above treeline trails. You should carefully study your route, read trip reports or descriptions of your hike, and take careful note of weather predictions. Higher summit forecasts can be very different than general weather reports, and you should account for being exposed to any wind or precipitation which can often be more intense on exposed summits and ridgelines. As with any hike, be sure to let others know a detailed itinerary and when to expect you in case of emergency. Before entering an alpine zone in winter, you should have a chance to test and dial in your gear and technique on lesser objectives and more forgiving trails. 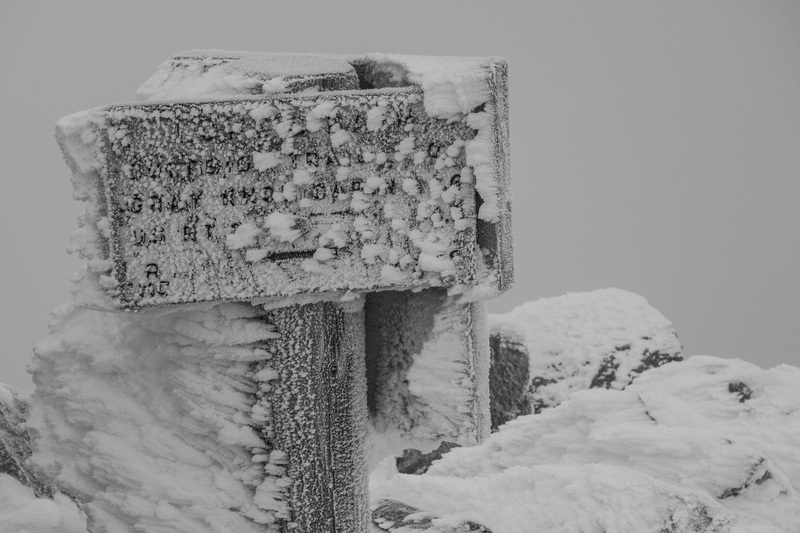 A windswept cold summit is not the place to find your water has frozen or your crampons don’t fit your boots. Pick a cold and windy day to try a small hike above treeline where you know you have an easy exit to test out your skill, gear, and resolve. 3. Adjust your risk assessments. 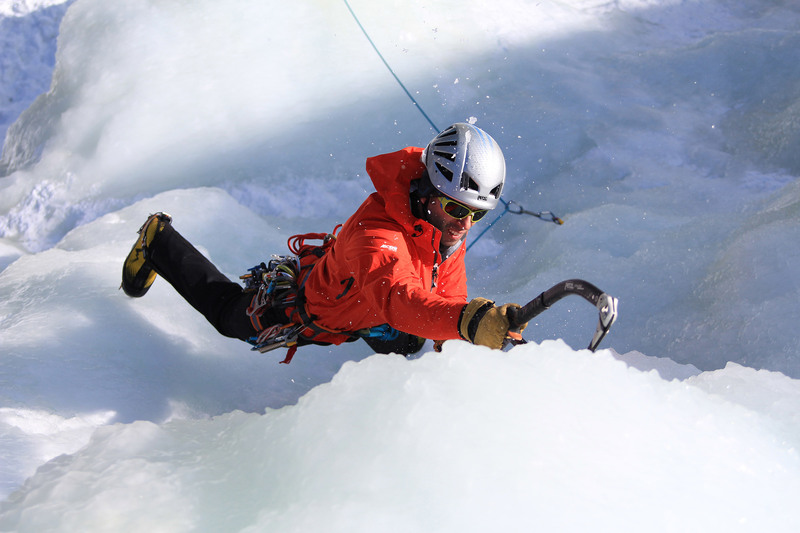 A part of more extreme peak bagging that is often learned through (sometimes negative) experiences is decision making and knowing when it is best to bail on an objective. When deciding to travel above treeline, the risks you are willing to take should be adjusted accordingly. Travelling solo or pressing on despite issues can have much more severe consequences here. Have alternative plans, expect the worst, and be willing to bail if needed rather than risk injury or worse. 4. Carry the proper water and food. Realize that subzero wind chills and exposure to the elements and weather will change the way you eat and drink. You will be uncomfortable or even dangerously cold if trying to fumble with preparing food or melting snow for water. Carry what you need for fluids in insulated containers to prevent freezing—winter alpine regions are no place for hydration packs whose tubes can freeze easily. Carry snacks that won’t freeze in easily accessible pouches or pockets so you can eat on the move without having to access you pack frequently. 5. Dress for the cold. You will want to be sure to carry and wear the correct clothing. Typical winter layers may also require a heavy down insulating layer and a waterproof/windproof shell depending on conditions. Don’t over layer as you will still generate a great deal of heat even in freezing conditions. However, think about what you would need to stay warm should you become immobile for hours or, at worst, even overnight. 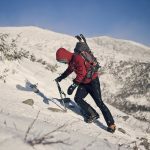 Depending on the duration of your time above treeline, the availability of bailout options, and other factors, it may even be wise to carry basic winter shelter such as a bivy or emergency blanket as needed. 6. Wear the right traction. 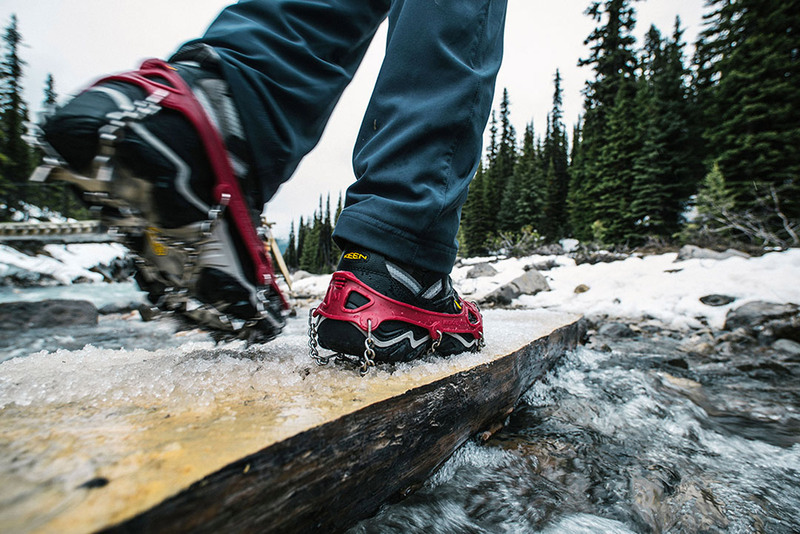 While most winter hikes will include the need for traction devices such as snowshoes or Microspikes, this becomes even more crucial above treeline. 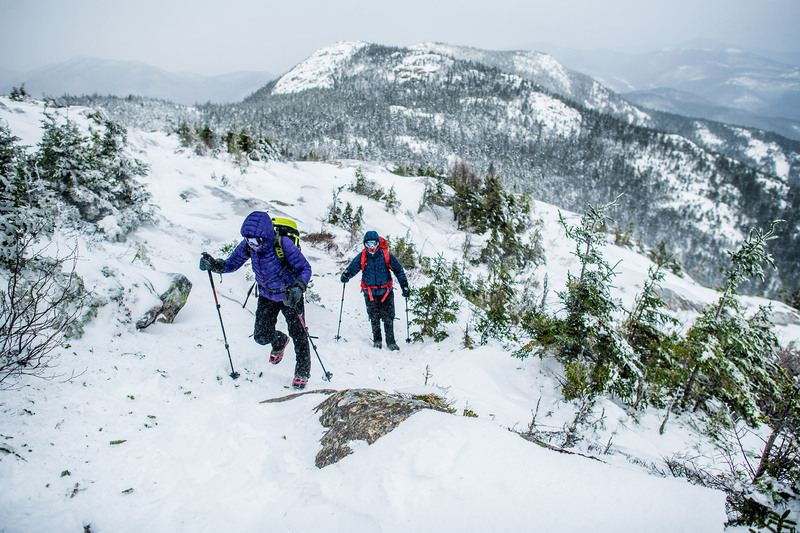 The above treeline areas of the Northeast are often rocky, icy, and/or exposed—you may even require full crampons for safety. It is better to have all these devices than to find yourself sliding into a possible injury along a fully exposed section of trail. Be sure to be properly trained in crampon technique before using this potentially dangerous equipment. 7. Protect your face and eyes. Blasting winds and ice over long stretches of ridgeline can quickly create uncomfortable or even dangerous frostbite conditions on any exposed skin. Carry and use adequate gear to protect your face. While a simple Buff may suffice for cold windy hikes in the woods, alpine exposure may require a full face mask, as well as goggles or glacier glasses to protect your eyes. It seems simple, but some forget that hiking with no vision can quickly lead to disaster. The regions above treeline in winter look much like the moon. They can be uniform landscapes of rocky white with at best an occasional cairn to mark routes. Besides studying routes ahead of time, it is crucial to take extra steps to ensure proper navigation. Consider carrying a GPS, and always be equipped with a map and compass. As you enter an alpine zone, take careful note of the direction you came from, the direction you are heading, and any notable landmarks or indicators. It is wise to even take a quick bearing on your compass of the exit and/or target routes. It is not uncommon for a clear summit to become a windswept and engulfed in whiteout conditions in just minutes. If you do get caught in extreme weather, don’t panic. Think carefully for a minute of the information you have and make sound decisions to get below treeline rather than rashly scrambling in what might be a dangerous direction. Lucas LaBarre grew up in the Adirondack Mountains of upstate New York. 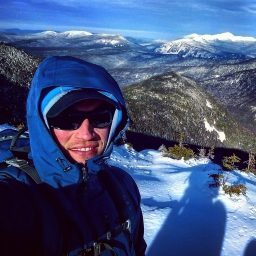 An avid year round hiker, Lucas has completed many peakbagging lists in the Northeast including the Adirondack 46, the Winter 46, the NH 48, the NE 67 and the NE 111. 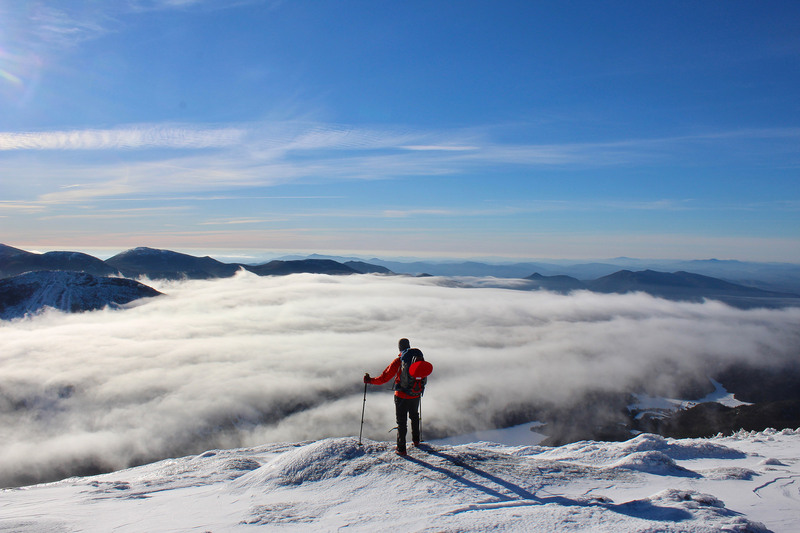 He also enjoys backcountry snowboarding and splitboarding throughout the Northeast and beyond. He lives in Albany NY with his wife and daughter and works as an educational administrator.